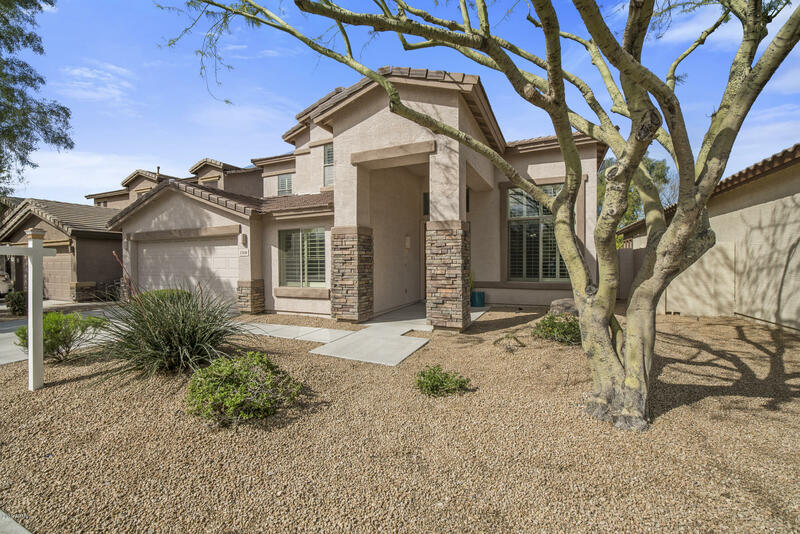 Highly upgraded 5 bed 3 bath home with private pool, den, & loft on a CulDeSac in the highly sought after Sonoran Foothills community priced BELOW appraised value!! Pre-listing inspection has been done!! Lovely floor plan leaves you feeling connected while giving you the space you need. 1ST FLOOR MASTER BEDROOM along with another bedroom, full bath & den as big as a 3rd car garage!! 3 spacious bedrooms, full bath, & loft upstairs. You'll be greeted with fresh interior paint throughout, all APPLIANCES STAY, Plantation Shutters on every window, integrated speakers throughout, cozy fireplace, soft water system, impressive cathedral ceilings, & efficient LED lighting. Park your FULL SIZE LONG BED TRUCK in this EXTENDED LENGTH 2 car GARAGE. Enjoy entertaining in the Open kitchen with.. appliances, GAS STOVE, granite counters, & all lower cabinets have PULL OUT DRAWERS. Enjoy your private resort style backyard with covered patio, sparkling Pebble Tec pool with new pool pump, & grassy area or enjoy the community pool, community center, tennis, basketball, & volleyball courts!! Many schools near by (Deer Valley School District & Charter Schools), shopping, & dining!! Call today! !